Should you ditch your running shoes? Spring is in the air and everyone is itching to get outside and back in running shape. And with the subculture of barefoot runners and the products catering to them growing daily, I’m frequently asked about my opinion regarding barefoot running. The feet are some of the body’s most beautifully efficient mechanisms, so changing the way they’re used every day shouldn’t be done haphazardly. Most of the hype put forward by barefoot-running advocates is anecdotal and based on questionable knowledge of biomechanics at best. They point out that humans ran and walked without shoes for millions of years, arguing that going barefoot is natural for humans and can reverse injuries caused by modern running techniques while preventing future problems. But “going paleo” for the sake of “going paleo” isn’t a very strong argument on which to base any recommendation. This argument also fails to take into account the fact that asphalt and concrete didn’t exist, as well as the fact that there were very few 50- or 60-year-olds still running around millions of years ago. Nevertheless, there are compelling arguments for going shoeless or at least wearing the minimal amount of shoe possible. 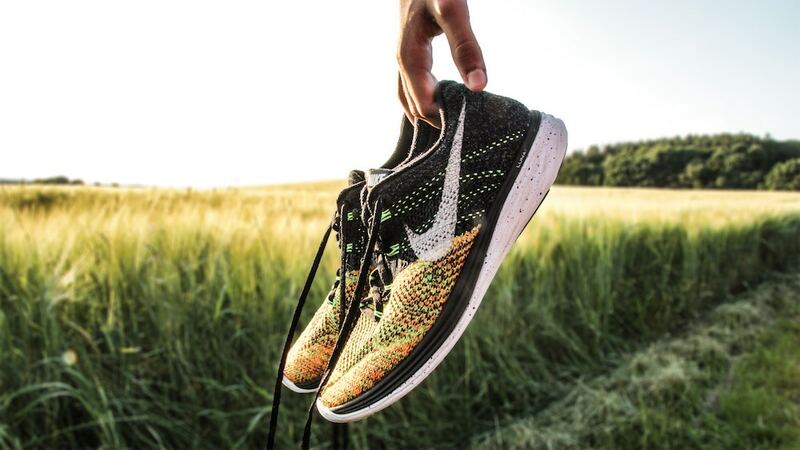 A 2010 study from the journal Nature suggests that runners who don’t wear shoes have a significantly different foot strike that minimizes structural impact compared to those who wear shoes. They found that barefoot runners tended to point their toes when landing, putting the impact at the middle or front of the foot instead of on the heel and making the runners less prone to repetitive-stress injuries. Another recent study demonstrated that the foot-strike pattern associated with barefoot runners is significantly more economical for running, meaning runners use less energy to run the same distances as runners wearing traditional shoes and striking with the heel. On the other hand, a separate trial from the journal Medicine & Science in Sports & Exercise found that runners using barefoot-style shoes were much more likely to develop chronic swelling and stress injuries in the small bones at the front of the feet. Not everyone who chooses to make the switch to barefoot or minimal footwear will end up with injuries. However, anyone planning on doing so needs to be extremely cautious during the transition period. I tell patients who are dead set on ditching their shoes for barefoot running to transition slower than they think is necessary to allow their foot and calf muscles to adapt; to start on a cushioned track surface if possible; and to consider using a barefoot-style minimalist shoe at first. Distance running without shoes might have been natural for our human ancestors, but for most of us, it’s something our bodies have never experienced. When it comes to injury prevention and running efficiency, it’s much more important how you run than what you run in. Heel strikers, regardless of shoe, will sustain more impact injuries than those who land on their mid or forefoot and allow their arches to act as natural shock-absorbers. The most efficient and least-injury-prone runners shorten their stride, land on the forefoot, and keep the running motion smooth, light and flowing. Ridge ST, Johnson AW, Mitchell UH, Hunter I, Robinson E, Rich BS, Brown SD. Foot bone marrow edema after 10-week transition to minimalist running shoes. Med Sci Sports Exerc, 2013 Feb 22 (epub ahead of print). Warburton M. “Barefoot Running.” Sportscience, 2001;5(3). Benno M, Nigg BM. Barefoot shoes; energy return & future shoe development. Footwear Science, 2009;1(1):1942-4299. Lieberman DE, Venkadesan M, Werbel WA, Daoud AI, D’Andrea S, Davis IS, Mang’eni RO, Pitsiladis Y. Foot strike patterns and collision forces in habitually barefoot versus shod runners. Nature, 2010;463:531-5. Bramble DM, Lieberman DE. Endurance running and the evolution of homo. Nature, 2010;432:345-352. Nigg BM, Emery C, Hiemstra LA. Unstable shoe construction and reduction of pain in osteoarthritis patients. Med Sci Sports Exerc, 2006;38(10):1701-8.
von Tscharner V, Goepfert B, and Nigg, BM. Changes in EMG signals for the muscle tibialis anterior while running barefoot or with shoes. J Biomechanics, 2003;36:1169-1176.